Roman Semykin born and raised in Ukraine moved to Miami eight years ago. Roman graduated National Ukrainian University with a bachelor degree in computer engineering. Roman also graduated from Gold Coast where he achieved one of many goals of getting closer to real estate license. He speaks three languages: English, Russian and Ukrainian. From eight years in Miami, Roman spent 6 years in hospitality industry. Which give them experience dealing with people and making sure they are always satisfied with his professional attitude. When Roman moved to Miami he was amazed by the architecture in a growing city especially in the areas like downtown, Brickell, Miami Beach. This is when he realized he found something he is passionate about. And now his dream came true. He is helping people to find their homes in rapidly growing city. Roman finds that the most exiting part about real estate is constant movement and meeting new interesting people every day. It’s a process of endless learning and improvement. Roman is always making sure of his clients feel comfortable from the first greeting to the end of the deal. Roman Semykin puts an extra effort for his clients to have the best experience and work with him again in the future. Roman goes out of his way to find a solution to make his clients happy, regardless if that’s a buyer or seller. Roman Semykin focusing on Downtown/Brickell, Edgewater, Miami Beach and Sunny Isles areas. Roman Semykin ideal clients are people who will love and enjoy Miami lifestyle and diversity of the city. 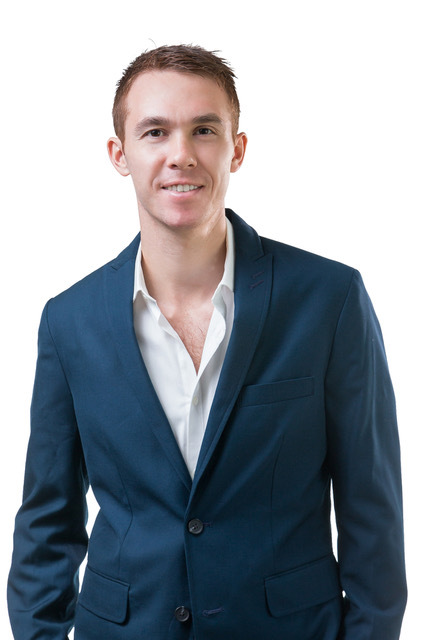 Roman Semykin strives to become the top agent within the company as well as the market, and work among some of the most successful realtors in Miami. Roman Semykin’s specialty in Real Estate will cover Luxury residential, waterfront properties, as well as commercial properties. Roman’s data base is constantly growing. Roman Semykin is very committed to his tasks and always gives 100 % in everything he does, that’s what makes him perfect selling agent. He’s guaranteeing professional presentation of any property in a real estate market. Roman has knowledge of market analysis and helps his clients to get the most value for their property. Ancona Real Estate Inc. is the successful vision of its Founder, Broker & Owner – Peter J Ancona. Our flagship headquarters is located in Miami Beach to strategically serve the Affluent Real Estate Investor. We are known for servicing high end real estate customers to streamline their luxury residential & high end commercial needs under one strong, local, well known & reputable real estate brokerage.